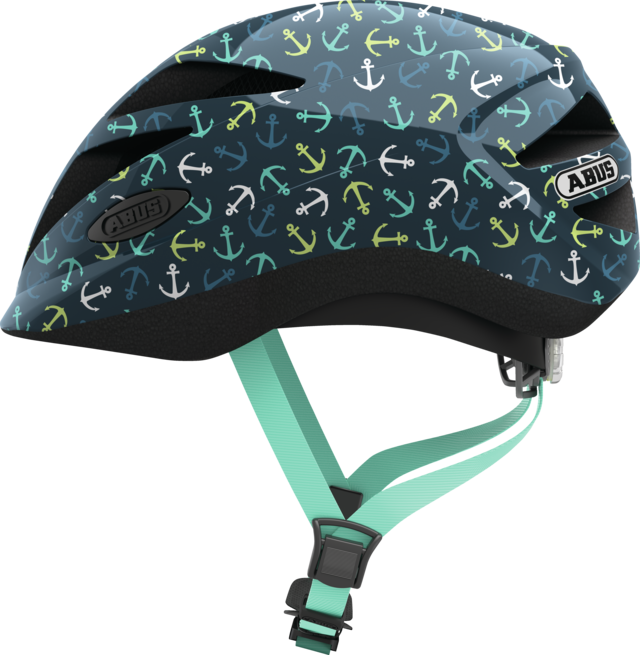 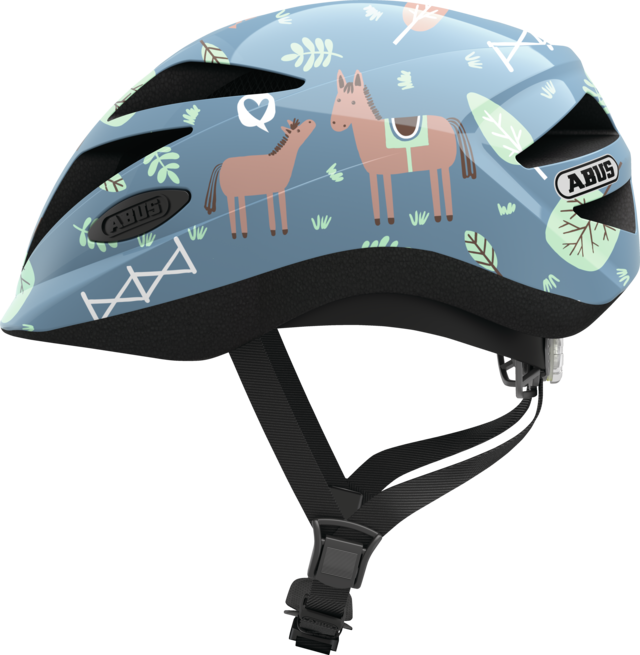 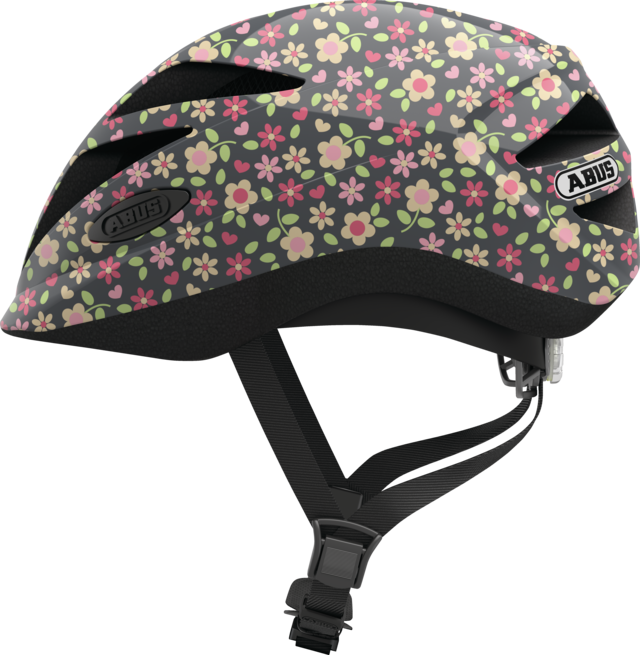 The Hubble 1.1 helmet for toddlers and children from ABUS is a well-designed helmet that is perfect for providing protection on the roads. 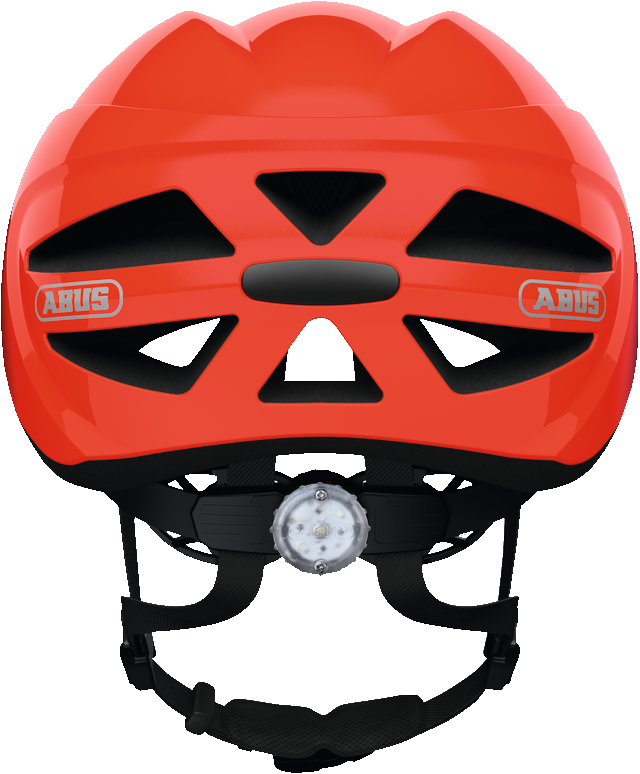 This helmet puts the needs of children first. 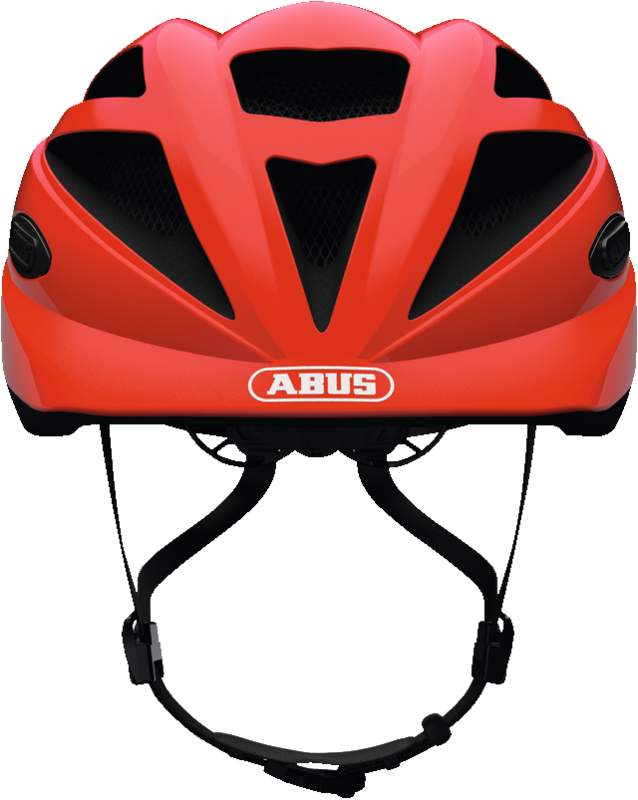 It isn't just attractive in terms of its design – it is also equipped with many great functions. The Hubble 1.1 from ABUS sits so lightly on the head that your child will barely notice it. 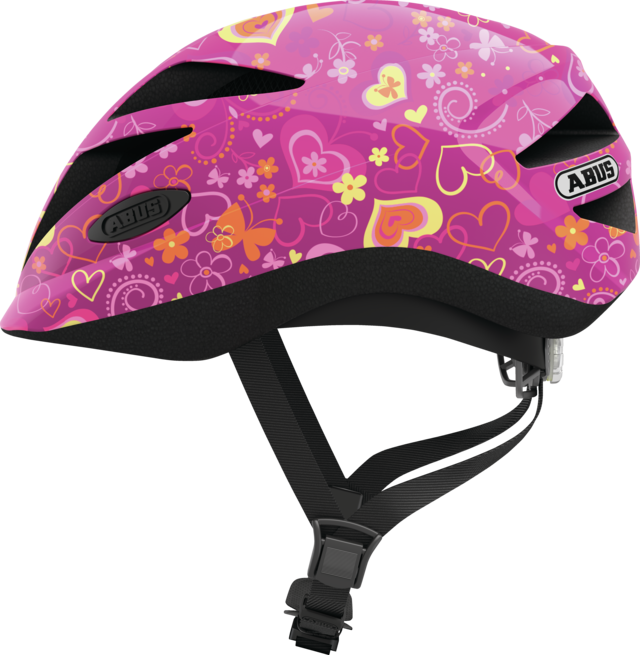 Thanks to the numerous options for adjusting the size, the helmet fits perfectly on your child's head. 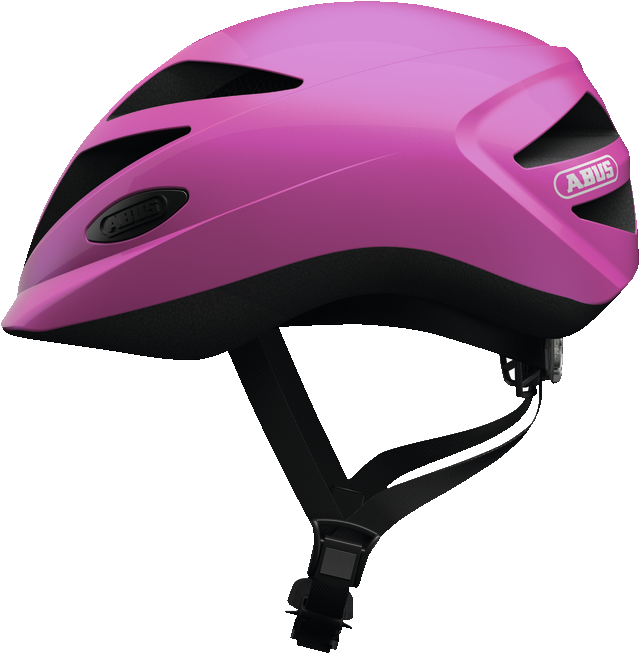 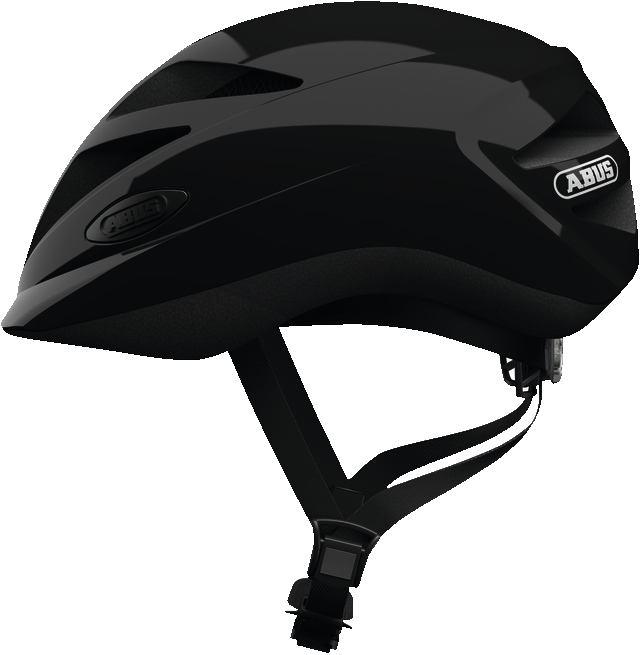 Thanks to the In-Mold construction, the ABUS helmet is especially stable and also lighter than other models. 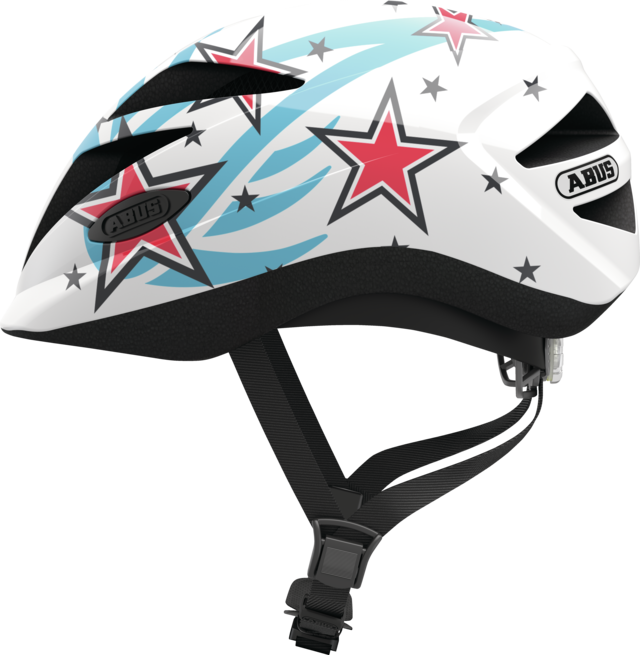 The ABUS Hubble 1.1 is not only particularly safe – the new single-coloured designs also look fabulous (shiny black, shiny blue, shiny rose and shiny shrimp).